BERLIN - The Berlin Fair originally started as a harvest festival in 1882 and in the early 1900s it became the State Agricultural Fair. It ran annually as such until 1919, according to the fair’s website, berlinctfair.com, and was then brought back to life by the Berlin Lions in 1948. By simple math, that means this year is the 70th anniversary and John Zarotney, this year’s fair president for the first time, is taking the approach of if it ain’t broke, don’t fix it. 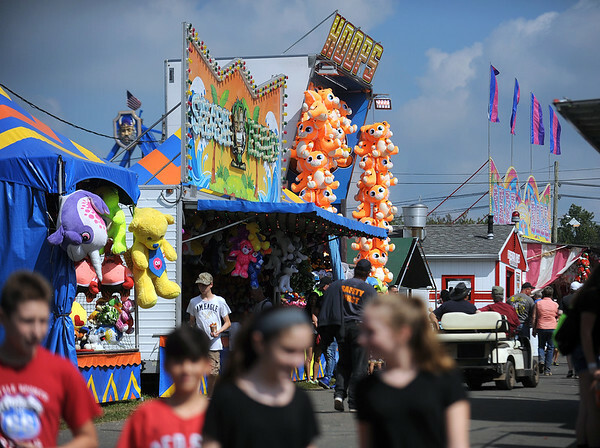 The fair, which proceeds from go toward supporting the Berlin Lions charities, was traditionally held the first weekend of October until last year when it was moved to two weeks earlier to middle September to draw more attractions. It would no longer be one of the last fairs in the area with the move, organizers said, and avoid rain that plagued the fair for several years prior. Students in Berlin still received, and again will this year, the Friday during the fair off from school to attend it. This year’s festivities will run from Sept. 13 through 16, at the same spot of the Berlin Fairgrounds, 430 Beckley Road. As this year will be the 70th anniversary of the Berlin Lions Fair, organizers are looking to continue the same great agricultural traditions with a few updated forms of entertainment. One of those being a “Berlin’s Got Talent” portion, said former club and past fair president Lenny Tubbs. 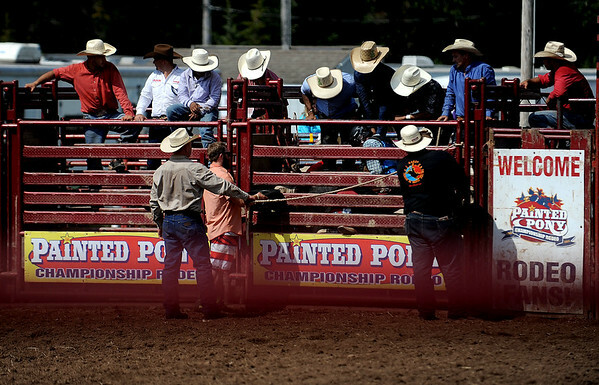 Details are still being finalized, Tubbs said, but the idea is to have auditions at the fairgrounds about two weeks out of the fair’s start on Fridays and Saturdays. From there, the top performers will perform on Friday and Saturday during the fair, with the final top performers from there performing on Sunday in the mid-morning or afternoon. A cash prize will be given to the winner, Tubbs, said, as well as the runner-ups. “If it…gets the community involved,” it will be fun for everybody, Tubbs said. Sign-ups for the show will be made via the fair website and the Berlin Fair Facebook page, facebook.com/berlinfair, Tubbs said. Updates on the talent show will also be made on those sites, Tubbs said. Also, this year, there will be a fireworks show around 9:30 p.m. Saturday night, depending on when the entertainment finishes, for the 70th anniversary, Zarotney said. As for main entertainment, the fair is taking the more tribute band route this year. Aquanett, an 80s classic rock group, will perform on Friday at 6 p.m. at the Concert Stage, covering Ozzy to Metallica and Bon Jovi to Poison, according to the fair website. On the Blacktop Stage on Friday, Braiden Sunshine, a 2015 semi-finalist on the TV music competition show “The Voice,” will perform at 6 p.m.
On Saturday, Physical Graffiti, a Led Zeppelin tribute band, will perform at 6 p.m. at the Concert Stage. The band has been playing for 32 years, according to the fair website. Following will be The Machine, a Pink Floyd tribute band, at 7:30 p.m. at the Concert Stage. The group has been touring for 30 years and will feature “the Interstellar Lights on all engagements,” according to the fair’s website. Branded, a group that plays “Country that Rocks,” out of Watertown, will also play at 6:30 p.m. on the Blacktop Stage, Saturday. Closing out the main entertainment on Sunday will be the Steve Daggett Band, a country musician from Connecticut, at 2:30 p.m. at the Concert Stage and then Neon Circus, a Brooks & Dunn tribute band, at 4 p.m. on the Concert Stage. There will also be entertainment on the Pavilion Stage all three days. The Demolition Derby, operated by JM Motorsports, in which cars will ram and demolish into each other until only one remains, will be returning this year on again the added day off Thursday, starting at 7 p.m., but gates open at 4:30 p.m. Music will go from 5 to 9 p.m. New with it will be an expanded arena, where the tractor pulls occur, Zarotney said, for more fan seating. Making the fair unique and what is, of course, returning this year are the several community food booths run by local organizations, Zarotney said. The Berlin Fire Department will sell their “Freedom Fries,” the American Legion will sell clam chowder, St. Paul Catholic Church will sell fried Twinkies and so much more will be available out of each group’s booth that is owned by the Lions but maintained by the groups. Along with everything else, the regular staples of rides from Dreamland Amusements, a rodeo from Painted Pony Rodeo, out of New York, an antique tractor barn, go-kart racing, tractor pulls, and other barns of cows, sheep, chickens, and art and baking submissions stand among the 35-acre fairground land. The fairs hours are from 4:30 to 10 p.m. on Thursday, Sept. 13; 11 a.m. to 10 p.m. on Friday, Sept. 14; 9 a.m. to 10 p.m. on Saturday, Sept. 15; and 9 a.m. to 7 p.m. on Sunday, Sept. 16. Admission is $12 for adults, $8 for seniors aged 62 and up and free from children aged 11 and under. Advance ticket sales are available for purchase in multiple locations and will be online starting Monday on the fair’s website, a new feature this year to cut down on wait time in the possible heat. Advanced tickets purchased online for all three days can be discounted by the code “berlin30” for 30 percent off, Zarotney said. Wristbands that grant free use of rides on Friday only can also be purchased in advance. 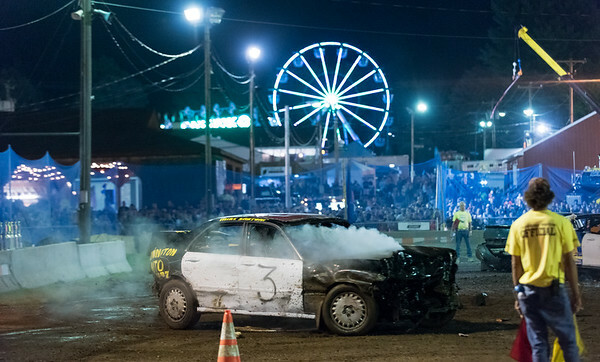 Admission to the demolition derby will be $10 for adults, $5 for children aged 6 to 11 and free for children age 5 and under. Those interested in participating in the derby, which gives cash prizes, can call 716-980-6533. 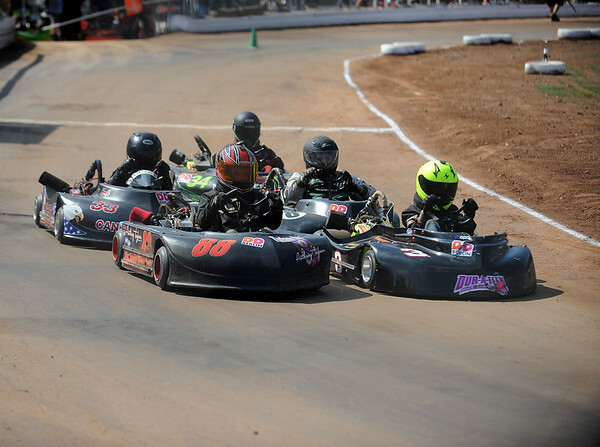 Limited parking is available at the fairgrounds with options for reserved and handicap parking. Shuttle service from Assa Abloy, 275 Deming Road, and Eversource, 107 Seldon St. Will be available. For more information on the fair, including livestock, art and baking contest submission instructions, visit ctberlinfair.com. Posted in New Britain Herald, Berlin on Tuesday, 21 August 2018 19:31. Updated: Tuesday, 21 August 2018 19:34.